This casebook provides a basic introduction to the common law of property for students in Canadian law schools. 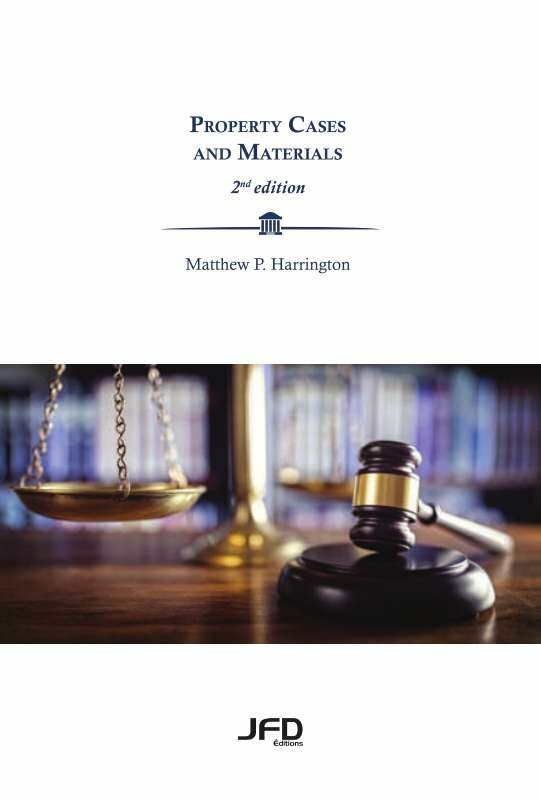 In addition, to the “classic” cases from English and Canadian jurisprudence, this book utilises materials from around the common law world in an attempt to show the interconnectedness of the common law tradition. Topics include theories of property ownership, the acquisition of property, the doctrines of tenure and estates, leases, as well as a consideration of problems of marital property and co-ownership. In addition, the text presents a basic introduction to the real estate sales transaction. Matthew P. Harrington is Professor of Law in the Faculty of Laws at the Université de Montréal. He teaches property, trusts, and equity.